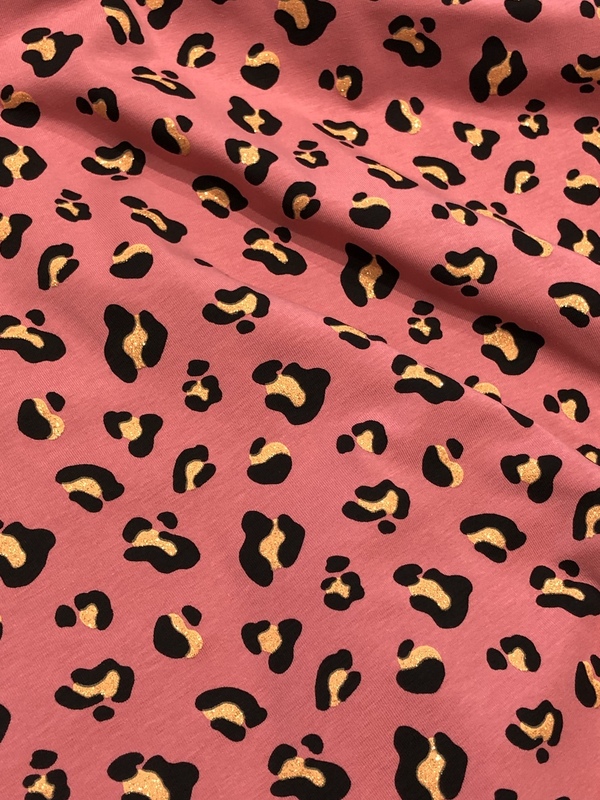 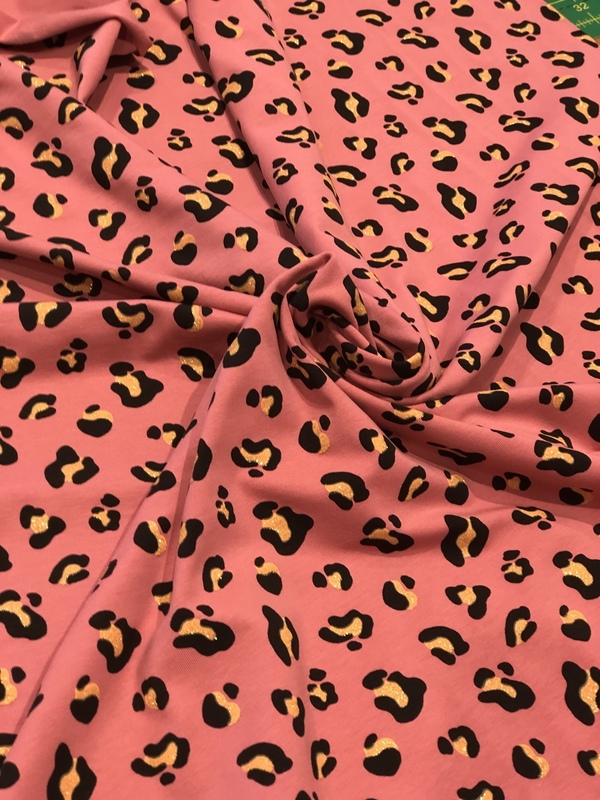 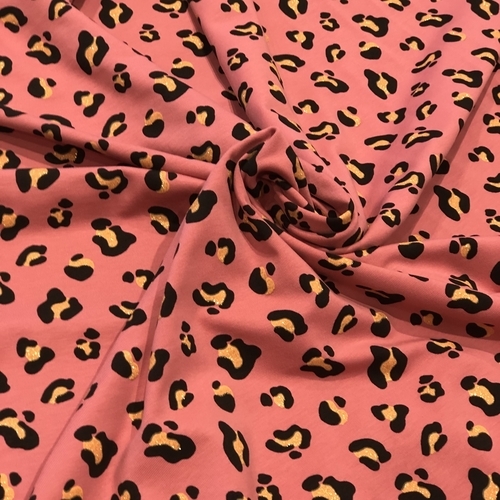 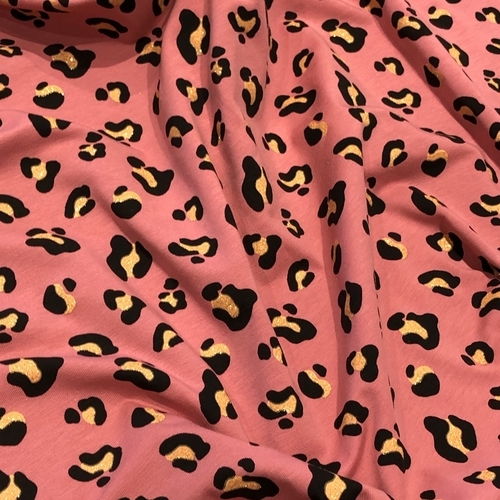 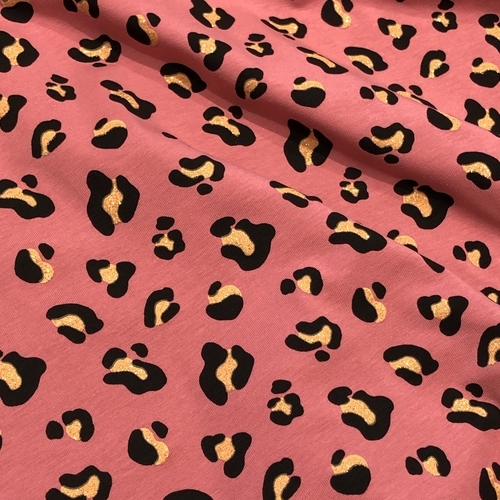 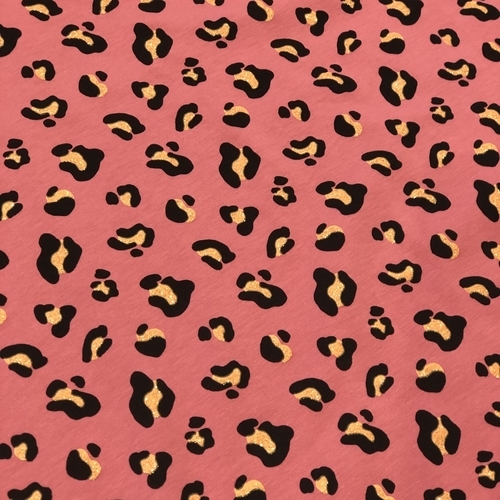 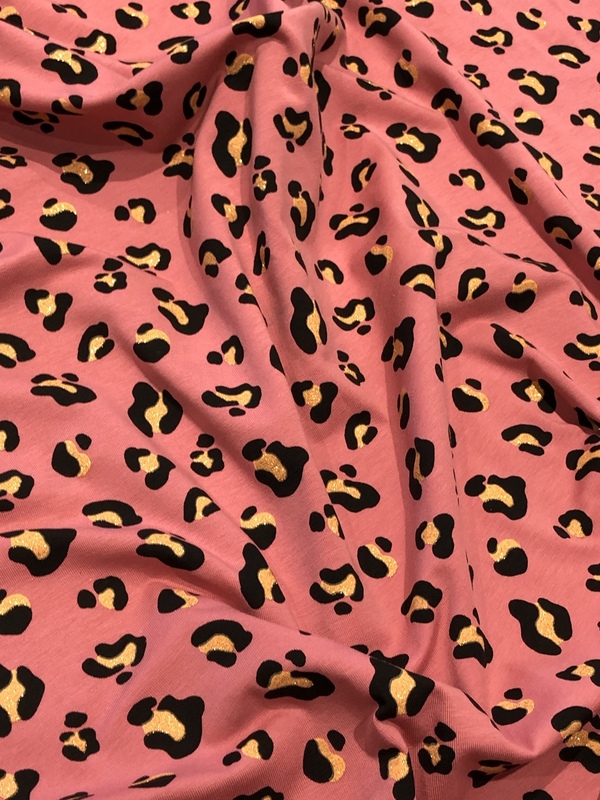 Introducing our Glitz Pink Animal Print Jersey! 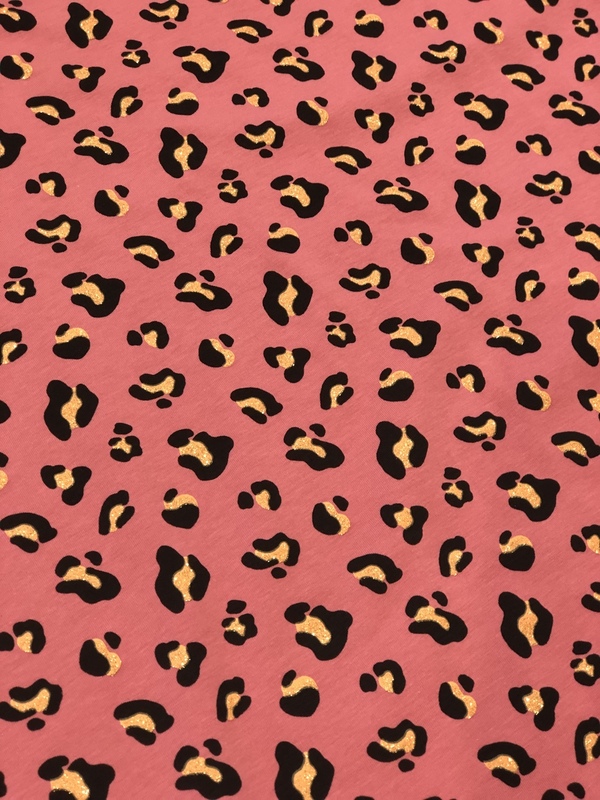 Black and Glittery Peach animal print on a Slate Grey Background. 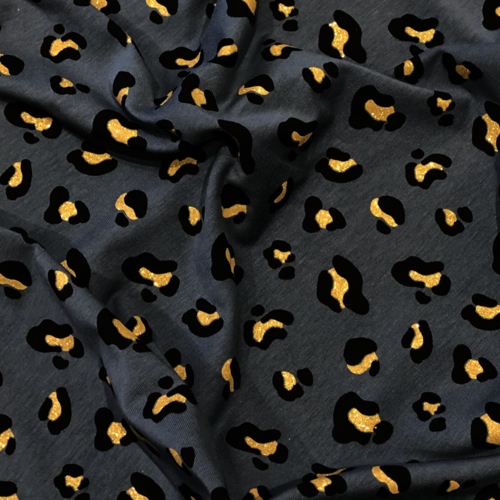 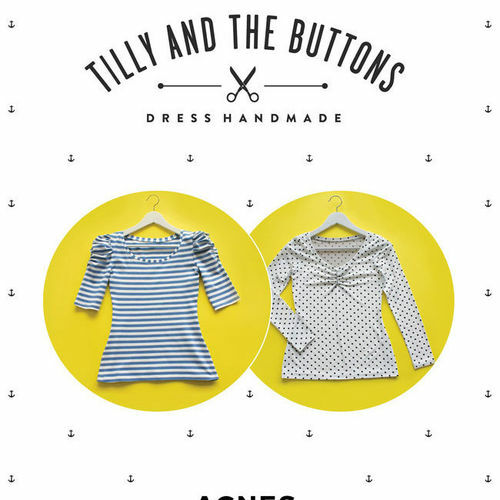 This print is modern and striking with a good dose of sparkle. 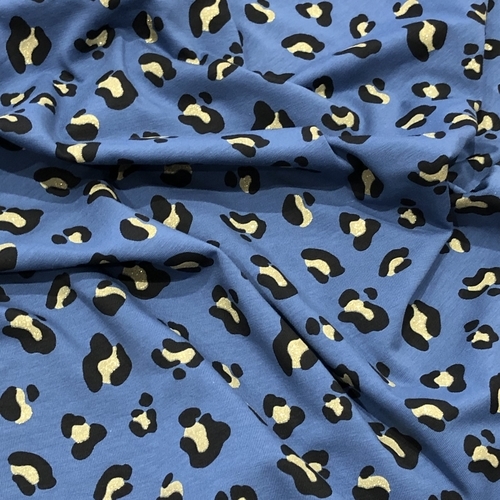 Wash on a 30C wash.